Happy Friday! 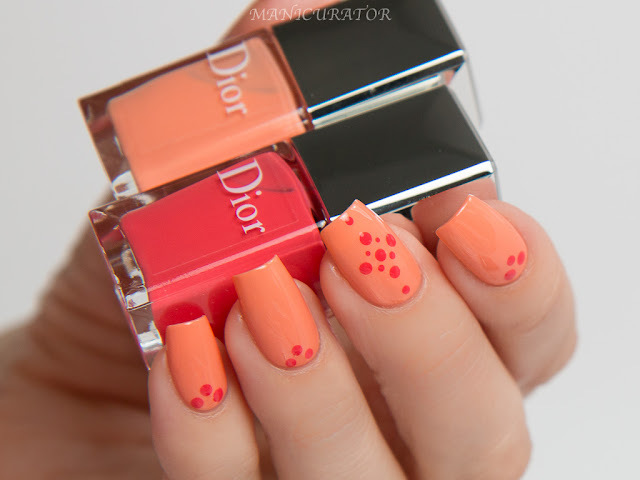 Today I'm showing you what I created with Dior Vernis Summer 2016 Milky Dots 002 Confettis 652, 432 and Milky Dots 003 Plumetis 582, 262 Did you see the look I created with Milky Dots 001 Pastilles? I think these are such great sets. Each one has complimentary shades that are larger than your average mini, but not full size, and a Dior dotting tool. For this look I was inspired by the design Valesha over at Peachy Polish made for our last link-up. It was super easy to do with such an interesting outcome I think. I applied 2 coats of the pink shade, 262 (no names on the bottles). 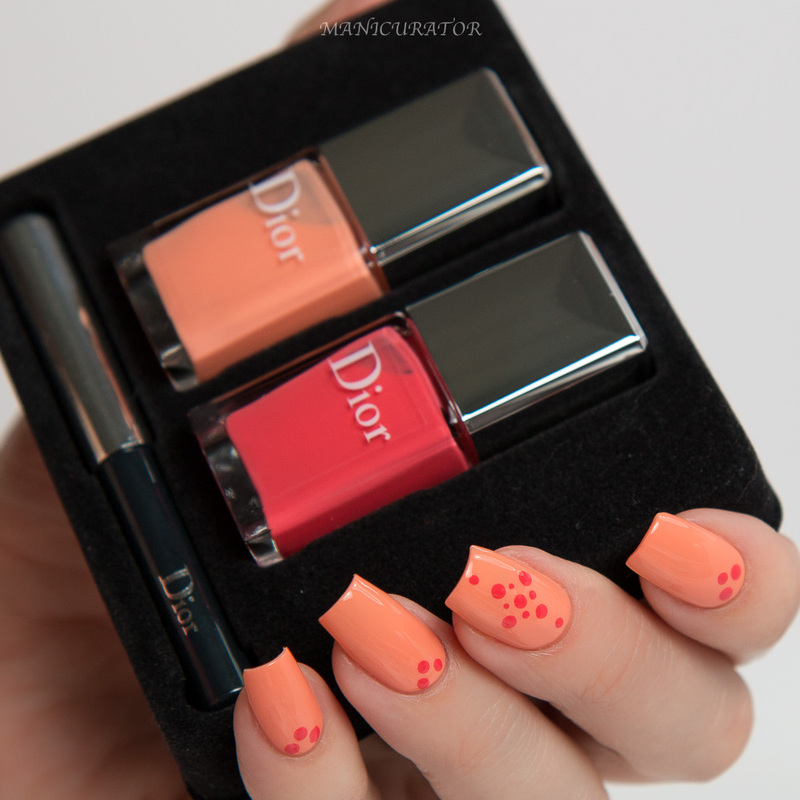 I had no issues with formula or application, which is the norm for me with Dior. To create the swirly dots I just let a drop fall off the brush from each shade onto a square of wax paper. 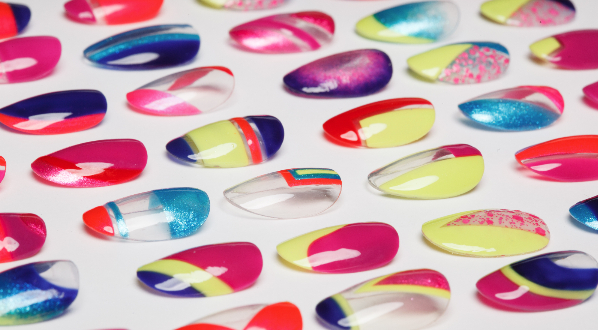 Then I used the dotting tool and dabbed it into each color (don't mix, just dab!) 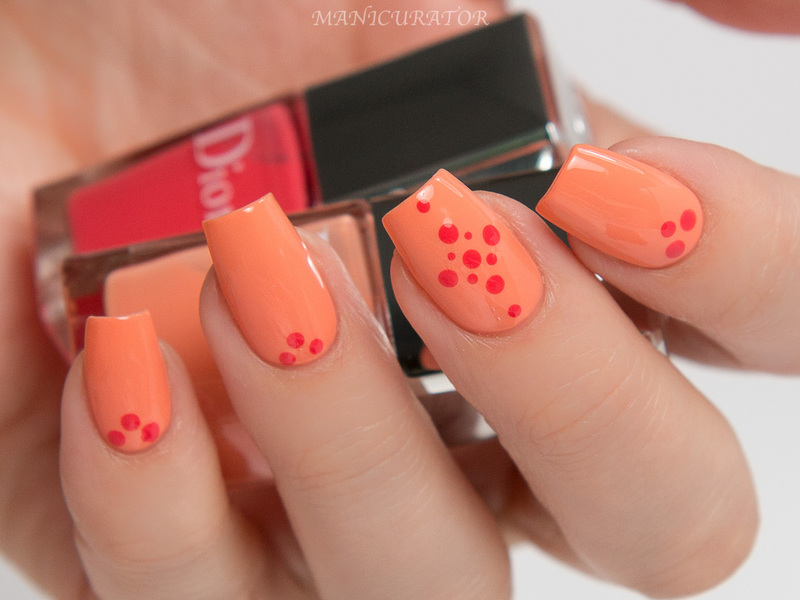 and then made my dot onto the nail. I just dotted randomly, re-dipping into the shades as necessary. Two coats of the melon shade, 432 and once dry I just did a simple dot design using the red shade. Both manicures are started with Diorlisse Abricot and finished with Dior Gel Coat. What do you think? Which of the three is your fave? Mine would have to be the first look I created with the cream and blue shade! 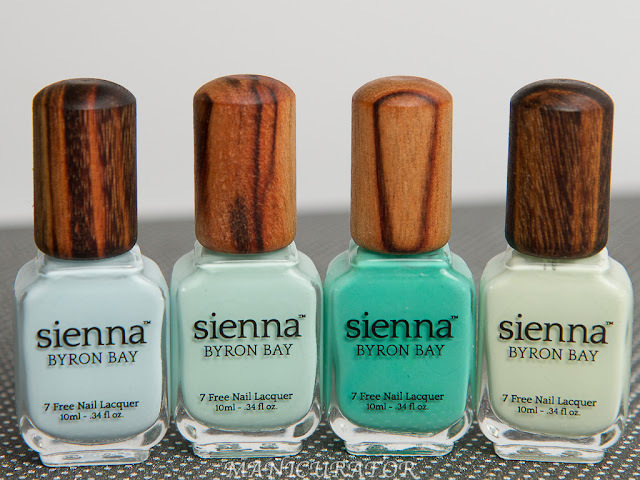 There are three Summer Milky Dots Vernis sets available for $31 each. Available at Dior.com and on counters worldwide.